When Typhoon Nesat slammed into the nation late last month, a power transmission tower used by Ho-Ping Power Co toppled over, causing a drop of 1.3 gigawatts (GW) in Taiwan Power Co’s (Taipower) net peak capacity. This is the equivalent of two generators at the Jinshan Nuclear Power Plant in New Taipei City’s Shihmen District (石門). Erecting a temporary tower takes about 15 days and during that time, the seventh generator at the Taichung Power Plant experienced a failure and a tube broke at the first generator, further limiting the power supply. 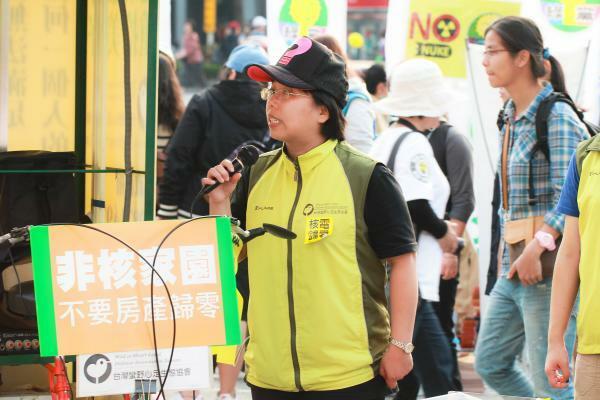 As the Cabinet urged energy saving measures, opponents of energy saving and proponents of nuclear power took the opportunity to call for bringing back online the first generator at the Jinshan Nuclear Power Plant and the second generator at the Guosheng Nuclear Power Plant in New Taipei City’s Wanli District (萬里), while questioning the decision not to start the Longmen Nuclear Power Plant. However, the problems caused by the natural disaster and generator failure are temporary, and they should not be solved by reviving nuclear power. On June 2, repairs at the second generator at the Jinshan plant were moved forward because of the collapse of another transmission tower. By then, the first generator at the plant had been closed down for more than two years, the second generator at the Guosheng plant for more than a year and the first generator at the same plant for more than half a year, while the second generator at the Ma-anshan (馬鞍山) Nuclear Power Plant in Pingtung County had been closed for almost two months. For a whole week until June 9, only a single reactor in all the nuclear power plants was running, but there was no power shortage. Today, half of the nuclear generators are in operation. Nuclear power plants are also affected by natural disasters. During typhoons Xangsane in 2000 and Toraji in 2001, the sea water pumping stations at the Jinshan and Guosheng plants were blocked; during typhoons Haitang in 2005 and Sinlaku in 2008, the Longmen plant was flooded; during typhoons Maggie in 1999 and Dujuan in 2003, the Ma-anshan plant was tripped; during Typhoon Meranti last year, there was a fire in the airconditioning system at the same plant due to dampness; during Typhoon Dujuan in 2015, the main transformer at the Guosheng plant was destroyed; during typhoons Yancy in 2000 and Soulik in 2013, the Jinshan plant was tripped and during typhoons Soudelor in 2015 and Megi last year, the emergency generator at the same plant made an unplanned start of itself. The nuclear power plants, which often have to resort to load shedding as a preventive measure during typhoons, are themselves potential victims of severe weather events and not the solution to energy supply shortages during typhoons. Following the same reasoning, the nation’s three nuclear power plants have been in operation for more than 30 years, and so they should also be facing the same problems with aging and deteriorating equipment. For example, there have been several fires at the Ma-anshan plant as a result of damage to aging pipes. sai Ya-ying is a lawyer affiliated with the Wild at Heart Legal Defense Association.